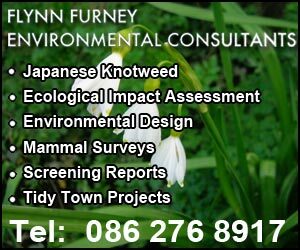 Flynn Furney Environmental Consultants are an independently owned environmental consultancy firm based in Co. Cork. Our work, however, is nationwide and we have been involved in projects in every county in the Republic of Ireland. We currently have personnel located in Cork, Dublin and Monaghan. Flynn Furney Environmental Consultants provide solutions for all types of environmental requirements. We are involved in everything from national infrastructure to community group projects. Flynn, Furney Environmental Consultants is working in association with Geraghty Consulting in the area of invasive plant species and their control. The problem of invasive plants, such as Japanese Knotweed species, Giant Hogweed and Himalayan Balsam, is rapidly spreading throughout Ireland. Once established, these can be very difficult to get rid of effectively. These plants will decimate indigenous plants and can lead to erosion of banks and damage to infrastructure. We offer a range of services, including surveying, control recommendations, method statements, training and treatment. We have advised on all of these invasive plants on many infrastructure projects throughout Ireland. Flynn, Furney Environmental Consultants is a company that specialises in ecological services. Our work covers a wide range of areas in the environmental sciences, including mammal surveys, flora and fauna, environmental and ecological impact assessments, appropriate assessments and mitigation work. We also carry out groundwater and surface water testing and analysis. In addition to this, we have an excellent track-record in environmental education and awareness projects. We are involved in innovative work on rivers and streams, protecting and creating habitats for native species. Any proposed development must take into account the possible impacts upon the living environment. Ecological Impact Assessment is a process that seeks to ensure the best outcomes for biodiversity. 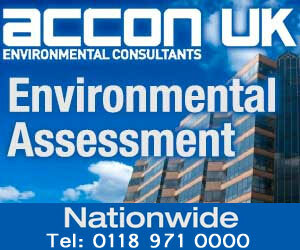 Environmental design is a process which incorporates key environmental aspects into a working design for construction. The design includes construction methodologies, exclusion zones and a catalogue of existing ecological resources. The protection of mammal species is a vital component of any proposed project, for both the conservation of biodiversity and for safety. Flynn, Furney Environmental Consultants are experts in the field of Irish mammal survey. Appropriate Assessment is the term given to assessment which is required under EU legislation should a proposed project pose any risk of impacting upon a site which is designated under European legislation. Ecologist Billy Flynn has been a Tidy Towns Adjudicator since 2007. He has been involved at all levels and has worked with the Department of Environment, Heritage and Local Government on expanding and improving the competition. The protection and conservation of our freshwater resources are critical to the maintenance of a healthy environment. Flynn, Furney Environmental Consultants are responsible for the monitoring of water quality at hundreds of locations across Ireland. Environmental education has arguably become one of the most crucial areas in both formal and informal education. In order to ensure that there is effective mitigation against projected impacts, practical measures may often be put in place. Almost all Irish birds are afforded protection under Irish and European law as well as under legally binding international conventions and agreement.